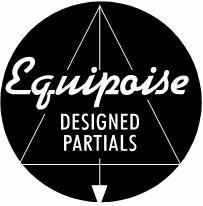 Equipoise has entered the age of digital technology! 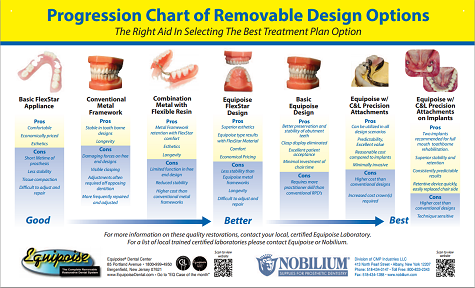 Ask us about 3D scanned Equipoise Designed RPD's as well as "EQUI-FLEX" thermoplastic toothborne designs & EQ Precision Fixed Removables Implant designed solutions. The Equipoise System provides you with a complete system for esthetic partial denture design from conventional to semi-precision milled and precision C&L attachment applications. We are proud to announce that Equipoise has had one of our recent articles published by the Journal of the New York State Academy of General Dentistry. After loosing a piece of critical bridgework and it's supporting tooth to a root canal, I was facing a sinus lift, implants, and then new bridgework for an estimated cost of nearly $15,000. I researched your Equipoise system on my dentist's (Dr. Derrill Finch) recommendation and was very impressed. I was also fortunate to know a Certified Equipoise Dentist, Dr. Jeff Senior, and all three of us worked together to make my new Equipoise partial denture a success. And what a success it is! I love my new Equipoise. It feels good, looks nice, is easy to remove at night for cleaning, and is very secure when I eat. All that for only a quarter of a cost of a sinus lift, implants, and bridgework. I'm very impressed. On behalf of the 3rd Millennium Dental Forum, I would like to take this opportunity to thank you, and Dr. Neal Seltzer, D.M.D., for your informative full day seminar on the Equipoise system. We have had positive feedback from our members and feel it was excellent presentation. We plan to have you back for a follow-up presentation in the near future. With pleasure I wish to applaud the recognition of Equipoise as a standard of excellence. It’s my conclusion that conventional removable partial dentures, as we have been instructed, no longer can compete with the stability, retention and preservation of the natural dentition that Equipoise technology provides. Your first case will make you a believer.